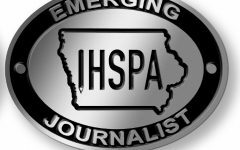 IHSPA’s 2019 Spring Journalism Contest seeks to recognize the best work of Iowa high school publications – both online and in print. IHSPA has some new rules, four new categories. Please review the rules and forms. 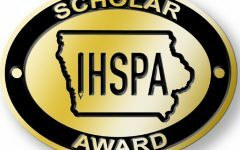 Contest period: All work must have been published or posted between March 5, 2018 and March 8, 2019 by current students of IHSPA member schools. Deadlines: The entries must be submitted online by March 8 at midnight EST. No hard copy will be accepted. When you have submitted your last entry, go to the Manage Entries portion and follow the links to tally your bill and generate an invoice. Please print that and submit to your accounting team. School size classification: The news contests are distinquished by three major size classifications – small, medium and large school ­– ­based on enrollment. To achieve similar-sized competition pools, IHSPA uses a system to classify enrollment therefore indicate your 9-12 official enrollment. When all the entries have arrived the size classes will be determined by dividing those entered into thirds. There is not a separate contest for those papers publishing in a magazine, newspaper, or one-page insert. All schools are put in classes by size only. Schools are allowed to enter up to five entries in each category. 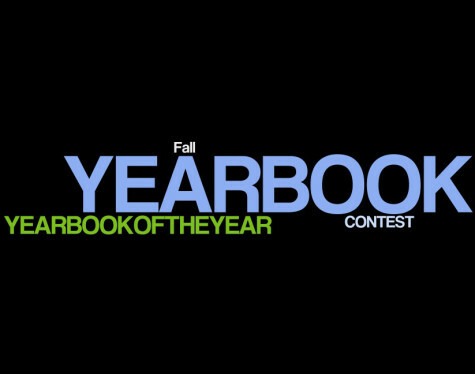 IHSPA member schools are automatically entered into this competition. Your publication is awarded points for first, second, third and honorable mention in the categories of Writing, Photography, General and Art/Illustration/Design and Web. Points are awarded in each of the school size classifications. Consider entering more to improve your chances. 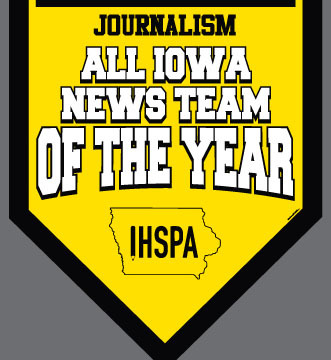 The 15 schools achieving IHSPA All-Iowa News Teams Finalists designation are encouraged to submit three complete editions of the publication and the link to the publication website to compete for the five IHSPA All-Iowa News Teams awards. This will provide the opportunity to submit work from the spring term. The schools will submit three complete editions (one from fall, one from spring and one editor’s choice). 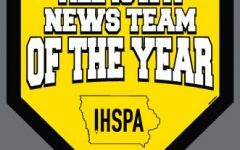 The submissions must be mailed and must arrive in the IHSPA office by June 5, 2019 to be considered. This award will be revealed at the fall conference. There are no classes for this competition. The judging rubric will focus on quality over quantity. Do not overlook the Designer of the Year, Photographer of the Year, Writer of the Year and Videographer of the Year competitions. Here are the 30 categories. Art & design Editorial Cartoon/comic strip Student produced cartoons that work with a story or stand alone. It can be produced by hand or on a computer. All art must be original work by the artist. Art & design Illustration or Art Student produced art or drawings that work with a story or stand alone. It can be produced by hand or on a computer. All art must be original work by the artist. Do not enter cartoons or comic strips in this category. Art & design Infographic Information presented in a graphic presentation that usually includes graphs, numbers, charts, and descriptions. Art & design Magazine - Multiple Page Design A multiple-page design from a magazine publication. Strong entries will use powerful graphics, images, and headlines to grab the audience‚Äôs attention. Art & design Magazine ‚Äì One Page Design Any cover or single page design in a magazine publication. Strong entries will use powerful graphics, images, and headlines to grab the audience‚Äôs attention. Art & design Newspaper ‚Äì Multiple page Design A multiple page design from a newspaper usually the double-truck or the two center pages. Strong entries will use powerful graphics, images, and headlines to grab the audience‚Äôs attention. Art & design Newspaper ‚Äì One Page Design A single page design from a newspaper publication. Strong entries will use powerful graphics, images, and headlines to grab the audience‚Äôs attention. General Ads Any advertisement created by students to promote a business or event is eligible. Entries will be judged on creativity, professional and appropriate display or design and reader appeal. The advertisement must run in a student publication, and it may appear in broadcast, print or online. General Entertainment Video (url link) or print (pdf) entries that engage the audience creatively. Entries will be judged on production quality, originality, entertainment value, and audience engagement. Photo Feature Photo A photo that is used with a feature story. These can be a variety of different shots, have Photoshop effects and possibly be staged environmental portraits. The story may appear in print or online. Photo News Photo A photo that is of a newsworthy event that captures the moment, emotion, or scene. The photo must not be staged or have any effects or alterations. The story may appear in print or online. Photo Photo slide show Judges will be looking for slideshows where a photographer has used ten or fewer photos. Each photo needs to be captioned, and given photo credit. There should be a variety of close-up, medium, and wide angle shots. Photos are optimized for the web and the slideshow runs smoothly. Winning entries will have emotion, freeze action shots, and tell a powerful story in the slideshow. Photo Photo Story A collection of photos that tell a story with well written captions. This collection of photos can stand on its own without a written story or accompany a story. The story may appear in print or online. Photo Sports Photo A photo of a sporting event. Great photos capture decisive moments with clarity and usually contain strong emotions. The story may appear in print or online. Web Multimedia story - Feature The feature story should use a variety of elements including written text, photos, videos, audio, infographics and interactive elements. A great multimedia story should be well designed, have a wide range of content that could fall into the category of feature, in-depth news or long form journalism. Opinion stories will not be considered in this category. Judges will reward stories that demonstrate a spirit of experimentation by taking risks and trying new things. Web Multimedia story - News The in-depth story should use a variety of elements including written text, photos, videos, audio, infographics and interactive elements. A great multimedia story should be well designed, have a wide range of content that could fall into the category of feature, in-depth news or long form journalism. Opinion stories will not be considered in this category. Judges will reward stories that demonstrate a spirit of experimentation by taking risks and trying new things. Web Multimedia story - Sports The sports story should use a variety of elements including written text, photos, videos, audio, infographics and interactive elements. A great multimedia story should be well designed, have a wide range of content that could fall into the category of feature, in-depth news or long form journalism. Opinion stories will not be considered in this category. Judges will reward stories that demonstrate a spirit of experimentation by taking risks and trying new things. Web Podcasting Submit links to audio podcasts or internet radio shows. Podcasts should be from 5 to 30 minutes in length, and may contain interviews, non-copyrighted music, and strong student voices. Top podcast entries will be judged on originality, organization, quality interviews, and show graphics or branding. Web Social Media This category will be judged based on quantity and creativity of social media postings. To enter submit you a link to each of your social media offerings. 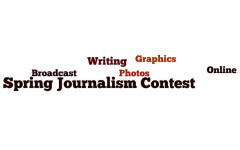 Web Video News Show For this contest, digital entries only are accepted. Submit direct URLs to the online site or a video-sharing site such as YouTube or Vimeo. The video news show includes a broadcast TV news show including anchors, a script and cuts to news, sports and/or feature package(s). 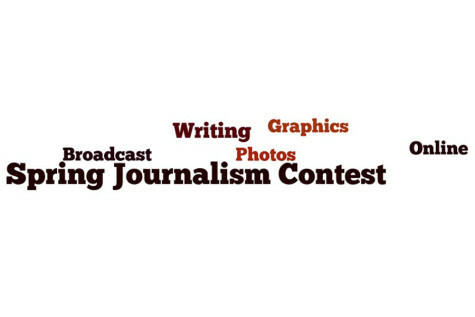 Judges will focus on the following areas: scriptwriting and transitions, professional on-air presence, coverage and content, writing and reporting, leadership, editing and graphics. Web Video story Judges will be looking for video stories that have high interest to high school students, contain more than two interviews where the audience can clearly hear the interviews, uses multiple camera angles, doesn‚Äôt have shaky camerawork, doesn‚Äôt use copyrighted material, uses natural sound, uses ‚Äúb-roll‚Äù footage effectively, has good lighting, interesting backgrounds, uses narration by the reporter and effective editing that helps tell the story. Web Web Design Judges will look for a clean design that has a unique image header, there is not any or little white space, images are sized to fit posts correctly, site has a customized favicon, images are original, and it is easy to navigate through the site. Top sites will be mobile friendly and try to reach the high school audience through interesting and effective design. Writing Column An opinion piece that represents one writer‚Äôs stand on a local issue that the school or community is facing. The story may appear in print or online. Writing Feature Story Exploration of a topic, event or person. It focuses on human interest, and has a high level emotional interest. The story may appear in print or online. Writing In-Depth News Stories that probe beyond the normal five Ws and H that are based on research and extensive interviewing. The story may appear in print or online. Writing News Story A story that uses straight, objective news reporting, while containing a very high level of newsworthiness, factual information, and relevance to high school students. The story may appear in print or online. Writing Personality Profile A story that focuses on a single person and develops the story around their conflicts, successes and struggles. The story may appear in print or online. Writing Reviews An opinion piece that serves as a consumer guide for readers, addressing the question, “Is this thing worth my time and/or money?” in a creative and clear way. Reviews of books, movies, video games, restaurants, TV shows, music, etc. are eligible. Entries are judged on timeliness, evidence of topic knowledge, writing style, originality and reader interest. The piece may appear in print or online. Writing Sports Story A story covering the news and events of a sports team, athlete or event. The story may appear in print or online. Writing Staff Editorial An opinion piece that represents the viewpoint of the staff on a current issue. Great pieces take a clear stand and provide solutions for change. The story may appear in print or online. Can there more than one author be listed for a story? How many entries per category are allowed? Five with the exception of the Social Media category where the effectiveness of your social is being judged as group. Submit all social media sites that you utilize. 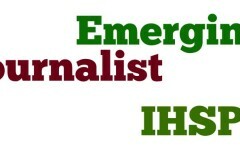 IHSPA is using the Better Newspaper Contest platform. Use this link to access the website. 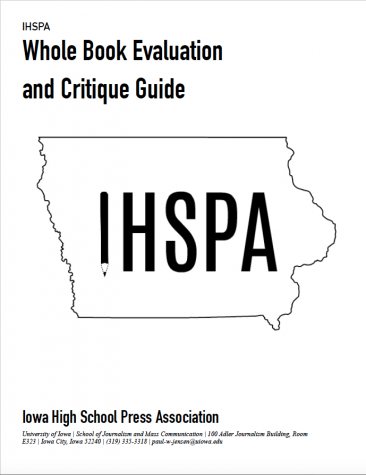 Select the 2019 IHSPA Spring Journalism Contests. Here are instructions for first time users of the Better BNC platform for entries. 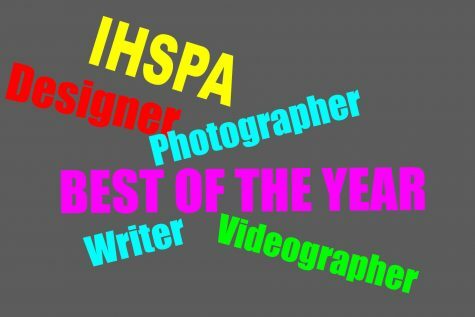 To enter this IHSPA contest, the student must have created their work for a school newspaper, magazine, website or yearbook between March 11, 2018 and March 6, 2019. 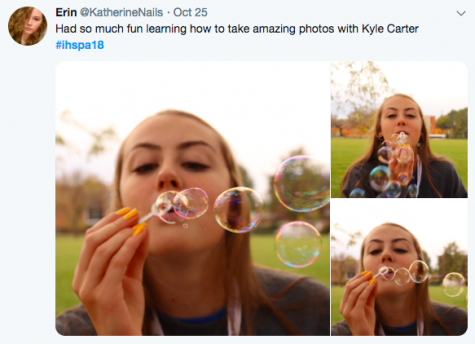 To submit your work – create an online portfolio that includes five work samples and date of publication and name of the publication where the work appeared or will appear for yearbook contestants. Contestant’s school must be an IHSPA member. Judges will evaluate the effectiveness of the student’s coverage of an event or people in a school or community. Writer of the year, Designer of the year, Videographer of the year and Photographer of the year competitions is open to all grades. We will honor up to five finalists in these competitions. There are no school size classes in these contests. Photographer of the Year Create an online portfolio that includes five photos including caption and date of publication and name of the publication in which the photo appeared. Writer of the year Create an online portfolio that includes five writing samples, indicate date of publication and name of the publication in which the article appeared. Only student publications are allowed. 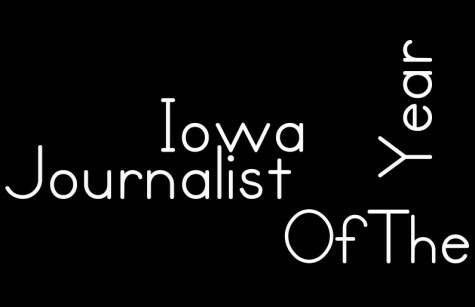 Videographer of the year Create an online portfolio that includes five news video samples, indicate date of publication and name of the publication in which the article appeared. Only student publications are allowed. 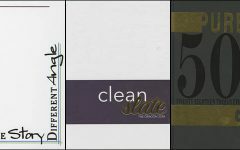 Designer of the year Create an online portfolio that includes five design samples, indicate date of publication and name of the publication in which the article appeared. Only student publications are allowed. Works for yearbooks are eligible. The applicant must create a website that hosts the portfolio. Most questions can be answered by viewing the JEA website. This is similar to the Journalist of the Year entry. Specific instructions about how to do this can be found at this link. While this is not a JEA contest, we are following their entry strategy. Tips on how to build the WordPress site can be found here. Once the website has been built use the Better Newspaper Contest platform to enter. The website will begin accepting entries on February 6, 2019. Once you have completed all your entries please complete this form. It will generate your invoice. Schools are required to submit a minimum for 20 entries. If you have less please enter 20 in this field. One membership covers school. Membership covers academic year. If you have already paid enter zero in this blank.